What about my dreams and desires? Do you ever feel like as a wife and/or mother, your life’s primary purpose is others’ comfort, convenience, and support? Do you ever feel like your dreams and desires have become a part of a permanent back burner? Sometimes, in the mundane, tiring (and, oftentimes boring) tasks of home and family management we women can lose sight of the eternal importance of what we’re doing. Now, you might wonder why a made-up bed or clean dishes have any Kingdom implications but when you view these tasks through the lens of Col 3:23 which says “Whatever you do, do your work heartily, as for the Lord rather than for men,” you might be able to see a different perspective. When we serve our family with a right attitude, we teach them how to have a servant’s heart for others. God views a virtuous woman as worth more than rubies (Prov. 31:10) so your sacrifice is valuable to Him. We should ask God to remind us regularly that our duties as moms and wives serve a bigger purpose than we can see! Are you a 'do it all' or 'do what matters' woman? Not sure how to step out of feeling overwhelmed and under equipped? 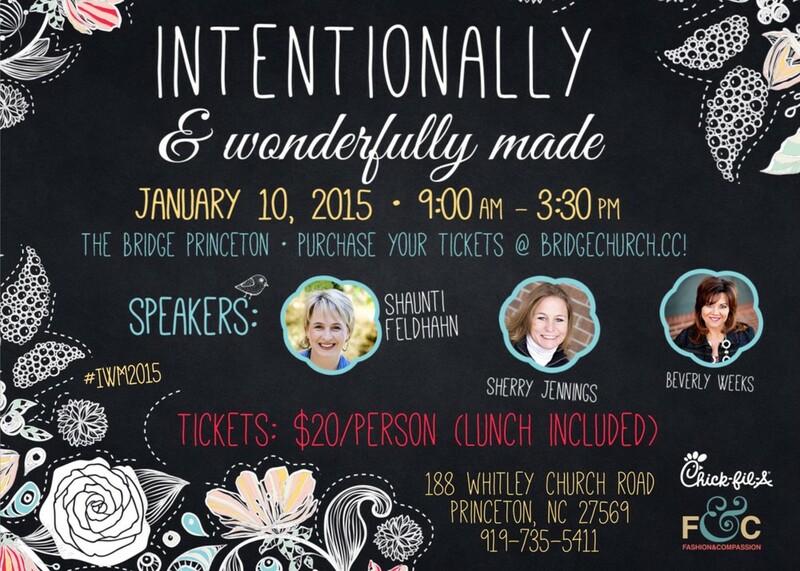 Gather your girlfriends and join Beverly, Sherry and Shaunti for Intentionally & Wonderfully Made 2015! Purchase your tickets online today! Intentionally Yours is a 501(c)3 (pending) organization committed to sharing God's truth, hope and vision for marriage until every home is a godly home. Will you partner with us in this mission? Thank you for your support!